A rising sophomore at Woodrow Wilson High School, Beauty and the Beatz does teenage stuff. Her favorite subject is Art. She does homework. Eats family dinners. Enjoys basketball and watching magic tutorials on YouTube. 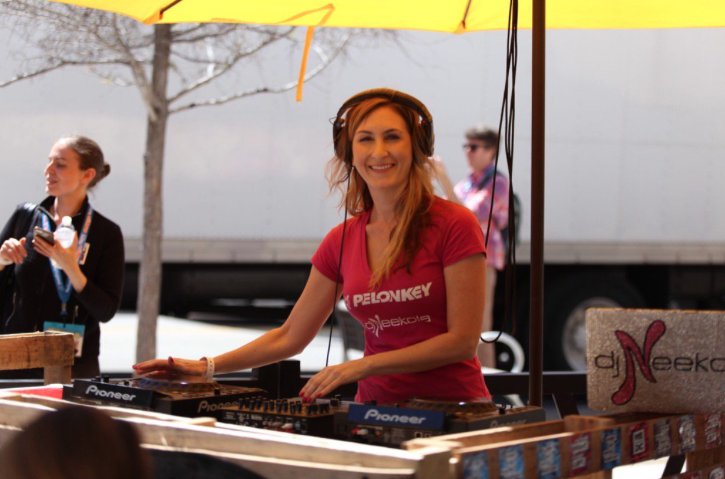 Oh, and you can also hire her to DJ your corporate Christmas party, a job for which she has almost 10 years of experience. We all know the first big thing people want to talk about is how young you are – [15!] – but what is one other thing people should know about you right away? I think the other biggest thing would be my creativity when it comes my music selection. I like to be diverse when it comes to music. Hip hop, electronic, reggae, all different types of music. I like to be a diverse DJ. Which genre is your favorite to play? If it was totally my call I think I would still go through the genres, but I like hip-hop and electronic trap music. I like to mix them together. It brings a whole different life to the music when you mash it up. 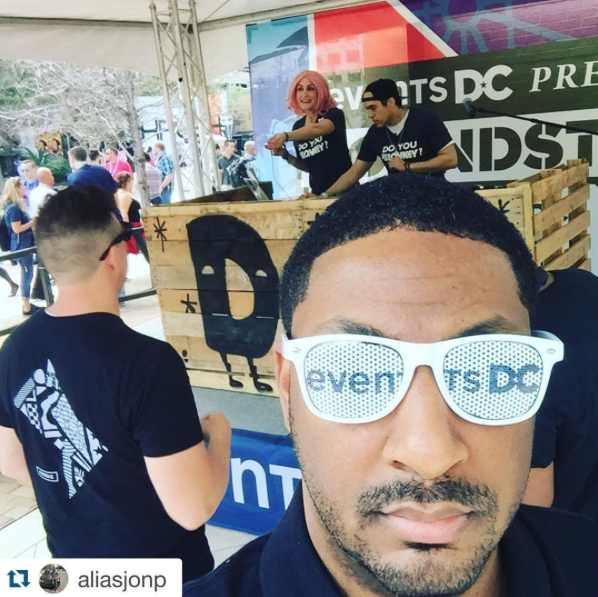 What can people expect from you at any one of your gigs? They can definitely expect to hear music they’ve never heard before. 6. My parents are into music; my dad was a radio personality, mom was an interior designer. I went to events in Vegas, and plenty of rappers, poets, and DJs would come on stage and perform, and for some reason the DJ always caught my attention. I would stand behind them and pay attention to what they were doing. Then I started asking for equipment. When did you first realize “Oh wow, I’m pretty good. I can make a career out of this”? What is your favorite thing to see looking out over the crowd? People having fun, getting along. Celebrating whatever we’re here for. If it’s a party, I want people to celebrate whatever is going on. Listening to great music, having a great time, never thinking about the negative things. When you aren’t DJing, what are you doing? I love to play basketball. I love to do challenging things – I taught myself to solve a Rubik’s cube. [Her current record is 2 minutes.] I like to solve brain games, do certain things that other people can’t do. I taught myself to juggle, spin a basketball on my fingers. I do things just to figure them out. [Speaking of the Rubik’s cube,] the reason I solved it was because my sister was able to do one side of the cube, and she was gloating about it. So, I said “I’m done,” and then I had to do the whole thing. What is your biggest guilty pleasure music? There are plenty of DJs I like to link up with. Trayze, I also work with producer DJs, Martin Garrix, Skrillex, Coldplay. I’m young so I like to work with younger DJs.I’m a big fan of a lot of people that I’m close to – I see their work ethic is strong. The people who are super dedicated to what they do, I look up to them. I DJ’d the Annie movie premiere, I met Will Smith, Jamie Foxx, plenty of people at that event. I DJ’d at the White House. I met a lot of artists there for the Easter egg roll [in 2014,] including Big Sean. If you weren’t a DJ, what would you want to be? Before I was DJing I was into all different kinds of instruments. I started with acoustic guitar, then I got into drums – African drums – then electric guitar. I always wanted to be a musician. Fun fact: I also wanted to be a magician! I think it’s so amazing. The magic happens right in front of my eyes, and I never notice it. Plenty of times I’ve looked up YouTube videos on how to do it, and now it’s not as magical. What was one of your favorite gigs? Before I play at any event we ask [the organizer] what type of music they want me to play. For this one event the lady who emailed my mom said it was a 90s party, so I got some 90s songs ready to go. I get to the show, and once everyone comes in the building I realize she meant the guests were in their 90s. They were asking for songs and singers I had never heard of. I had to do lots of research on the fly. 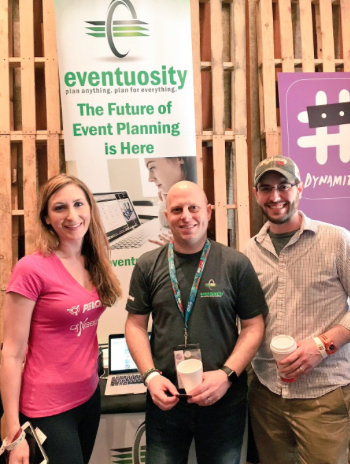 Anything else event pros should know about you and experience? I also [speak to students] at schools, I do master classes anytime people book me for certain events where they want me to teach the kids how to DJ. We have all the equipment for that. I do it all. Dane, participated in our office 1776’s Random Acts of Culture by serenading the entire 12th floor with his tenor voice and Christmas carols. Pelonkey was mesmerized, we had to have him for a NYE event, and the rest is history. Read Dane’s full interview below. [Laughing] I do everything. I started out in choir, and from there I went to school for music, receiving my undergrad degree at Butler and a Masters Degree at the University of Illinois in Voice Performance. When I was in college I did a cappella, which is where my pop background comes from. I taught myself piano as a freshman in high school, then took lessons a year or two after, and I am classically trained now. I performed at a piano lounge for probably five or six years, playing & singing. But I’m also a classically trained opera singer, which is [oh, right, nbd] kind of my main career. Being an opera singer is kind of a freelance thing. As of right now, I have six really big gigs lined up in 2016. I recently performed with the Washington National Opera at The Kennedy Center [in Appamatox]. It was my premiere there, which was pretty cool. I do a lot of traveling. Up next I’m performing in NY, then Memphis, then Colorado. How do you find those opportunities as a freelancer? I go to a lot of auditions in NY. Most [openings] post an opportunity, I apply, and then audition in person. Some gigs are with people I’ve worked with before asking me to do new [roles or performances]. So tell us about the New Year’s Eve gig you got through Pelonkey. People would want to take a break from the loud noise, come into my room, and sing along. I was trying out some new stuff, everything from Adele to Billy Joel to… I don’t know, trying to throw a little of everything in there. As far as my opera career goes, I have a lot coming up. My debut with Loft Opera in NYC is in March [in Tosca]. Then I go directly to Opera Memphis for Carmen, then I will be in Colorado for La bohème, and back in Memphis in the fall for their “30 Days of Opera.” They have pop-up events all around the city every single day of September. [They perform any place you can think of, Whole Foods, the library, the street, wherever.] It’s not my first time doing random stuff. Where can we check out more of your stuff? Is Dane not the sweetest?? Answer: he is. A lovely guy with a lovely voice. And so multi-talented. 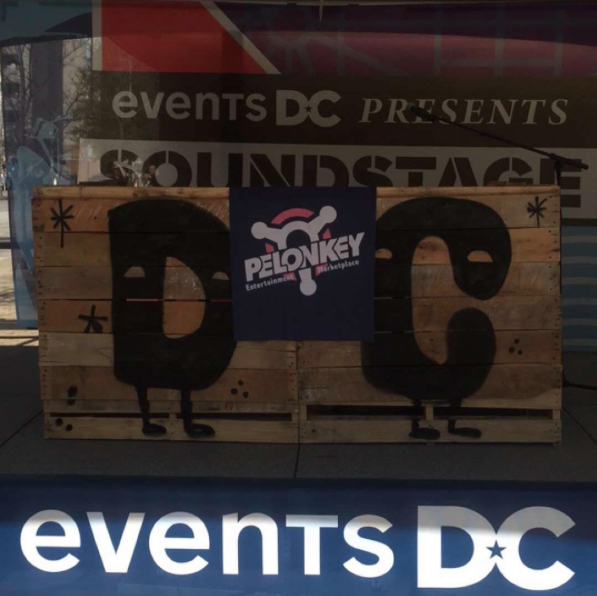 That’s what Pelonkey is all about, yo! Great talent for dayyyyyys. Would be great to serenade you and/or your office, loved one, whoever, for Valentine’s Day, just sayin’… Book him now! Thank us later. While the PelonkTeam used the blizzard to catch up on some work and some R&R (OK, eat. We ate a lot. All the things… Snowstorms make us hungry. ), a number of the talented Pelonkey gang were actually quite busy doing real, creative things. Take a listen to Biks‘ new Bhangra mix…and jam out! Zombie Max Major took over an “abandoned” grocery store… and never let his Vlog rest. DJ Alkimist began work on an original recording for a friend’s upcoming NYC exhibition. DJ Sean J played videographer capturing a time-lapse vid of the snow outside his window. And AJ Smith braved the blizzard NYC style to film his music video for “Brooklyn Nights,” his first single off his new EP, and the namesake for his show at Jammin’ Java on Wednesday night! And Eagle Eye made three-minute microwave cookies, which definitely worked. And are definitely dangerous. What did you do this blizzard?